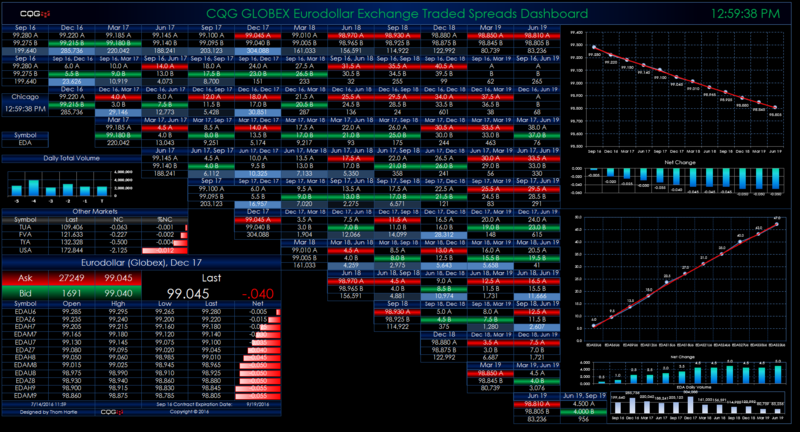 This Microsoft Excel® dashboard pulls in the Eurodollar market data traded on the CME Globex platform. 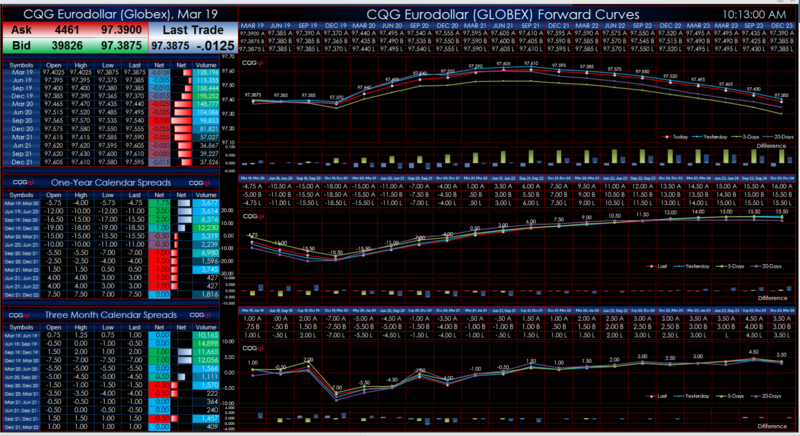 This Microsoft Excel® spreadsheet presents market data and forward curves of the Euribor, Eurodollar, and Short Sterling contracts. The data includes the outrights and exchange-traded quarterly calendar spreads. 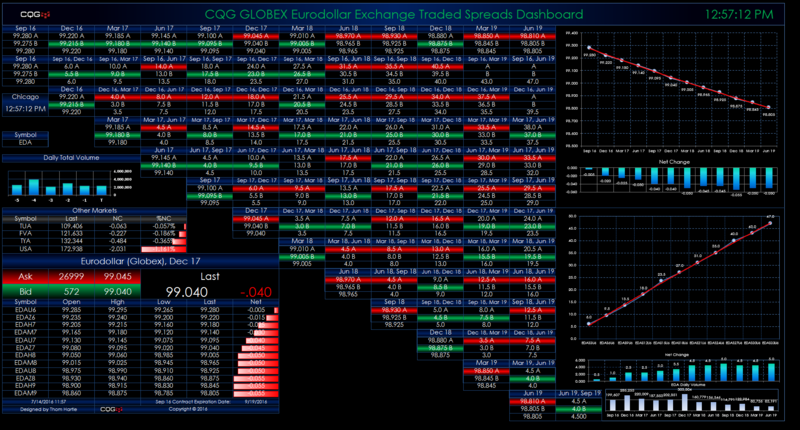 This Microsoft Excel® spreadsheet presents Eurodollar market data​. The data includes ten years of quarterly contracts for outrights and exchange-traded three-month and six-month calendar spreads.